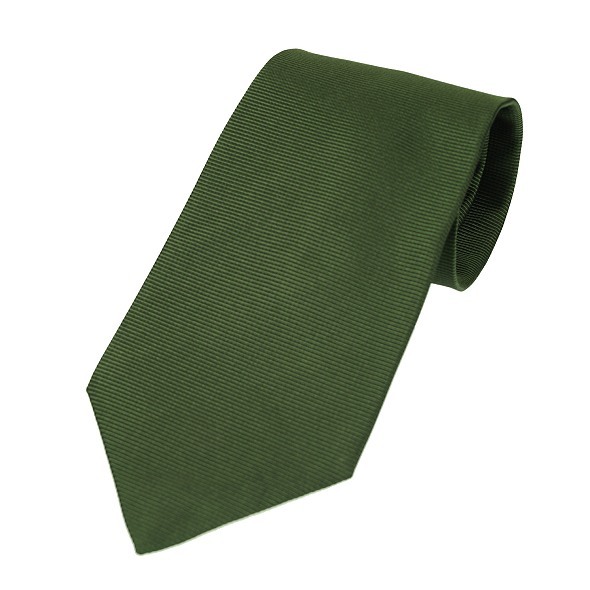 A beautiful plain silk olive green jacquard tie with a horizontal ribbed textured background. Made in the UK. Large olive green cotton handkerchief square with red spots and double striped border. A hard wearing olive green web belt with traditional brushed metal slider pin buckle. One size up to 55". You can also cut to size for a neater fit if required.